RICH NEIGHBORS - 1 out of every 13 households in the United States has a net worth of at least $1 million not counting the value of the family’s primary residence (source: Census Bureau, Spectrum Group). Fall Seminar Signup Option---Gift Plans and Strategies Every Advisors Can Suggest to Clients......Seminiar provides a 2 presentation to your professional advisor community showing them 15 end-of-year strategies they can implement with their clients to provide support for your annual fund, capital campaign and/or endowment efforts. This seminar includes 100+ slides with real life gift examples on techniques advisors can begin to use tomorrow in their practice. The cost includes brochure handouts of the 2013 Federal Tax Pocket Guide and the Charitable Gift Planning Guidelines published by RR Newkirk. Presentation cost will not exceed $3,500 which includes a $1,000 allocation for travel and business expenses. If travel costs are less the extra is rebated. It includes E-mail or telephone follow up for all your professionals to the end of the year (2013). Continuing education credit filings (CEUs) are the responsibility of the sponsoring charity. Limited dates are still available, call 910-295-6800 for further details or E-mail me. Estate planning can help ensure that your investments and possessions will be distributed according to your wishes after you pass away. Trusts can play an important role in helping you fulfill that goal, while including provisions for flexibility in case of unforeseen events. Trusts are legal entities that own assets for the benefit of an individual or individuals and/or an institution, such as a charity. 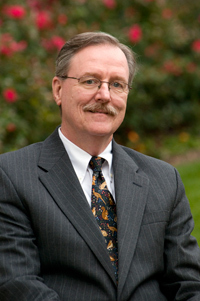 When you create a trust agreement and fund a trust, you are considered its grantor. The person or organization receiving distributions from the trust of assets or income is the beneficiary, while the person or institution managing the trust assets—often you, a financial advisor, an attorney, or a financial institution—is called the trustee. "Trusts are about establishing additional control with respect to how assets in your estate will be distributed," says Christine Fahlund, CFP®, a senior financial planner with T. Rowe Price. Not planned giving prospects..... Employee Benefit Research Institute (EBRI) released a study that found 57% of U.S. workers have less than $25,000 in total household savings and investments, excluding their homes. In 2008, 49% reported having 25,000 saved up, excluding their home. To add to the bleak outlook, 28% said they have no confidence that they will have enough money to retire in comfort, the highest level in the 23-year history of the EBRI study. Only 66% report having any retirement savings, compared to 75% of workers in 2009. If a taxpayer underpays his tax because of a substantial valuation misstatement of property donated to charity, he may be subject to a penalty of 20% of the underpayment attributable to the misstatement. This penalty, however, applies only if the underpayment attributable to the misstatement exceeds $5,000 ($10,000 for a corporation other than an S corporation or a personal holding company). A “substantial valuation misstatement” exists if the value claimed is 150% or more of the amount determined to be correct. If the value claimed is 200% or more of the amount determined to be correct, there is a “gross valuation misstatement,” which is subject to a 40% underpayment penalty. Annuities a Complex and Thorny Investment.....is the topic of an article in the May 2013 Senior Sprit magazine. You can access the article by clicking the Senior Sprit logo on the left. It provides insight valuable as a charity promotes gift annuities. 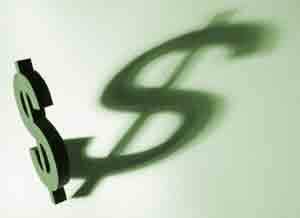 America's Hidden Taxes.....By now we all know the tax changes contained in the American Taxpayer Relief Act of 2012. In the tax bill there were two surcharges 0.9% on earned income which exceeds $200,000 and 3.8% surcharges on some or all investment income of single households with an AGI of more than $200,00 and married households with an AGI of $250,000 and up. In 2013 2.4% of households would pay one or both of the surtaxes. By 2022 it is projected 4.6% households will pay. Remember the limits are not indexed for inflation therefore an ever increasing number of your middle and upper income donors will be subject the the surtaxes. 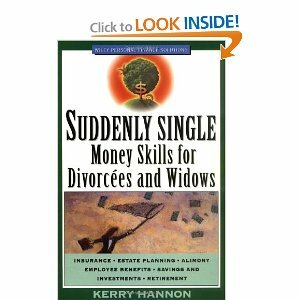 Suddenly Single Money Skills for Divorcees and Widows.....During a time of great emotional stress and adjustment, many individuals make withdraws.One needs to have strategies for life's changes. This involves a waiting period before making major changes. It also may involve major changes in living conditions, finances and healthcare. Suddenly Single provides essential information that can transform lives through a difficult transition. It is available from Amazon. Guide to Working with Older Adults.....The AARP recently produced a new edition of "A Financial Professional's Guide to Working with Older Clients" The guide available online outlines an array of issue that can change drastically when viewed from the standpoint of suddenly being alone. They include not only the immediate aspects of money handling, but the goal setting and planning that are inherent in the process. Laminated Gift Annuity Rate Charts.....The American Council on Gift Annuities has announced new gift annuity rates in 2012 which are also effective for 2013, unless changed later. If you would like a laminated rate chart for the most recent rates simply request one using the following E-mail request. BOUNCE BACK - The value of Americans’ equity in their real estate peaked at $10.5 trillion as of 12/31/07, fell to $6.6 trillion a year ago (12/31/11), then climbed back to $8.2 trillion as of 12/31/12 (source: Federal Reserve). WHAT THEY PAID - The top 1% of US taxpayers paid an average tax rate (i.e., federal income taxes paid as a percentage of adjusted gross income) of 23.4% in 2010 vs. an average tax rate of 2.4% for the bottom 50% of taxpayers (source: Internal Revenue Service). TOO MUCH MONEY - 2012 IRS statistics show that people with incomes of $200,000 or higher had an audit rate of 3.70%, or one out of every 27 returns. Report $1 million or more of income? There's a one-in-eight chance your return will be audited. DOWN FOR ALL - The top 1% of taxpayers paid an average tax rate (i.e., federal income taxes paid as a percentage of adjusted gross income) of 34.5% in 1980, but paid only 23.4% in 2010 (the latest year that data is available). The bottom 50% of taxpayers paid an average tax rate of 6.1% in 1980, but paid only 2.4% in 2010 (source: Internal Revenue Service). THE MAGIC OF COMPOUND INTEREST - $1 growing at 8% on a tax-deferred basis will accumulate to $10.06 over 30 years. $1 growing at 4% on a tax-deferred basis will accumulate to $3.24 over 30 years. Thus, achieving a return 2 times as great will produce a balance more than 3 times as large over 30 years. This mathematical calculation ignores the ultimate impact of taxes on the account which are due upon withdrawal, is for illustrative purposes only and is not intended to reflect any specific investment or performance. Actual results will fluctuate with market conditions and will vary (source: BTN Research). TAXES - Since 1950, the highest marginal tax bracket for individuals has ranged from a high of 92% (1953) to a low of 28% (1990). The highest individual marginal tax bracket in 2013 is 39.6% (source: Tax Policy Center). LITTLE CHANGE - The median sales price of existing homes sold in the USA during March 2013 was $184,300, up +3% from the $178,800 median sales price achieved nationwide during 2003 or 10 years ago (source: NAR). PEANUTS - The mandatory 30% tax rate on household income above $1 million (aka the “Buffett Rule”) is projected to raise just $53 billion in new tax revenue over 10 years (source: White House). I’LL DO FINE - Only 1 out of every 6 “baby boomers” (17%) that are working today believes that he/she will need to accumulate at least $1 million in order to maintain a comfortable retirement. 2,000 “baby boomers” born during the years 1946-1964 were surveyed in October 2012 for this study (source: TD Ameritrade). Kudos will return in a future issue.